Harley Davidson has announced that it will launch new motorcycles in the range of 250cc-500cc, especially for the Indian markets. Currently, the lowest powered in Harley’s lineup is the 750cc Street. Along with this, the American brand is also going to launch 4 new bikes before 2020. Read to know more. Harley Davidson is one of the earliest bike makers in the world. The company started in 1903 in America and has been giving us one of the finest cruisers, choppers and the cafe-racers of all time. The American giant came to India in 2010 and has its own production plant here. Currently, the brand sells 14 bikes in India starting from Rs 5.25 Lakhs to Rs 50 Lakhs. 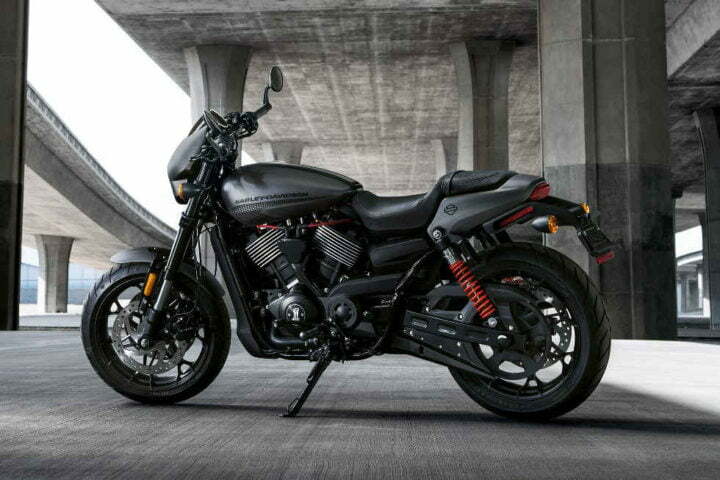 The least powerful Harley bike is the Street 750, which is a much powerful bike for many of us. Meanwhile, Harley Davidson has announced that it will be making new 250-500cc bikes in India. The reason is that India is Asia’s one of the most emerging markets but still does not adapt to the concept of high priced lifestyle motorcycles. Harley Davidson has revealed its future plans for the country. It says that it will continue developing improved versions of the Touring and cruiser motorcycles. By 2020, it will introduce 3 new motorcycles in the 500cc-1250cc segment. It will start with the Pan America, an Adventure touring motorcycle, a 1250cc Custom and a 975cc Streetfighter model. By 2022, more productions with broader coverage will be launched too. In India, it will go for the 250cc-500cc bikes, which would be much affordable. Recently, BMW launched its 300cc bikes after partnering with TVS. KTM and the upcoming Husqvarna bikes come under Bajaj Auto. So, till now, there is no official news on its strategic partner in India. It could be Hero Motocorp or Mahindra. But without any India based partner, localization of the parts and cost reduction would be a big problem. They have also talked about Harley Davidson’s first Electric motorcycle. The LiveWire will launch in 2019. By 2022, there will be more products on the Electric Motorcycle lineup. Currently, the highest selling Harley in India is the Street 750 and Street Rod. The Street 750 gets a liquid-cooled 750cc V-Twin engine. Its engine produces around 59 Nm of torque. It weighs around 223 Kgs and gets a seat height of 720 mm. This position gives you a commanding position with perfect posture of your body. The Street Road also gets the 750cc V-Twin engine, however, it produces more torque, at 63 Nm. It weighs around 229 Kgs and gets the same seat height. Between both the bikes, mostly the styling only differs. A lot of features are standard between both the cruisers.